How is your National Cupcake Week going? 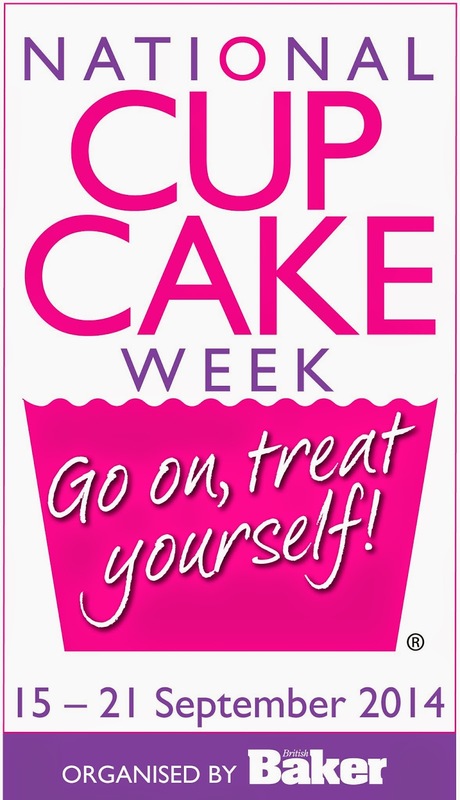 I hope you have managed to bake or eat at least one cupcake this week, if not you still have time to get baking. 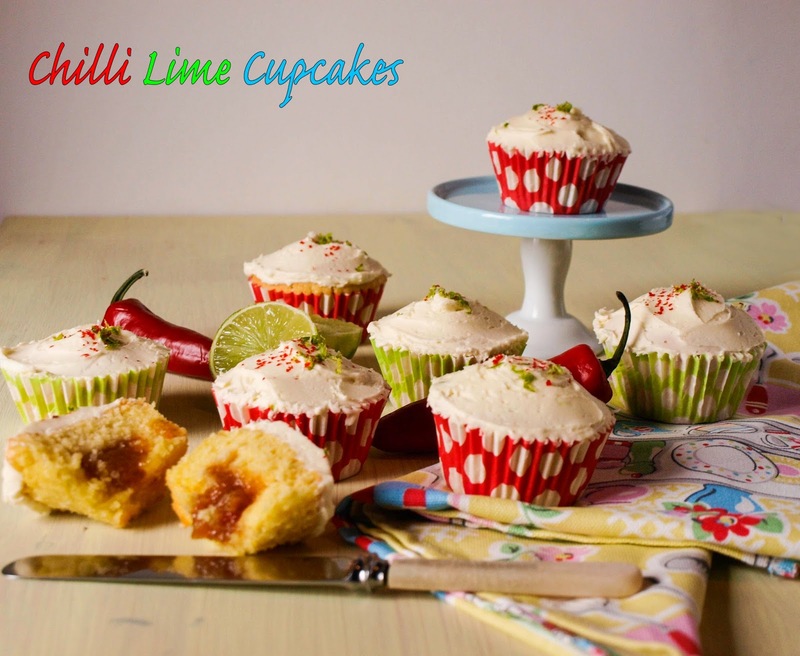 On Monday I shared Salted Caramel Apple Cupcakes with you and showed you the nifty gadget from OXO Good Grips for coring cupcakes, today I invite you to get your teeth into these gloriously festive Chilli Lime Cupcakes. 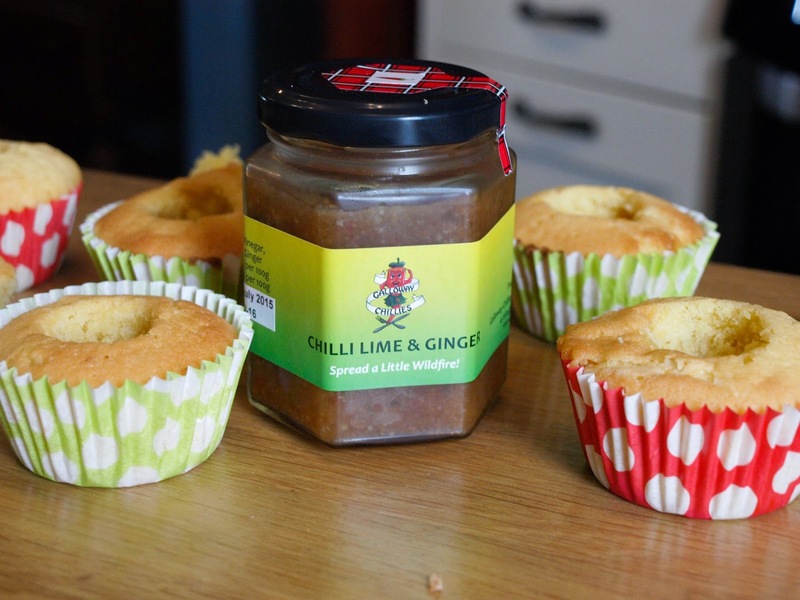 These cupcakes are also cored and then filled with Chilli Lime and Ginger jam (mild) made by my friend Sheena at Galloway Chillies. If you haven't tried Galloway Chillies Jams then you don't know what you are missing and you should get some ordered up immediately so you too can 'spread a little wildfire'. 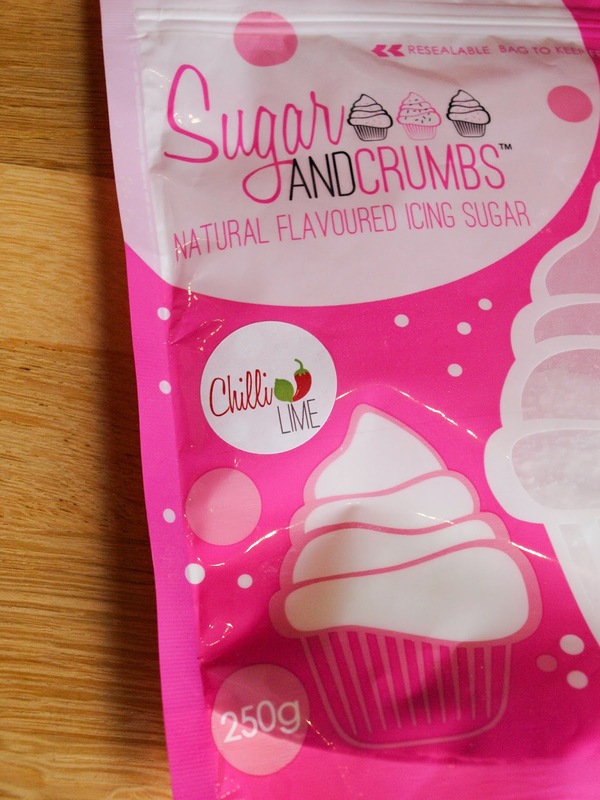 As soon as I saw this flavoured icing sugar from Sugar and Crumbs I knew I had to have some and that it would pair perfectly with the Galloway Chillies jam. Using a stand mixer beat the sugar and butter together, then add the eggs one at a time, finally add the lime juice and beat the mixture for about 3 minutes until it is light and fluffy. Sift the flour and baking powder into the butter mixture and beat until incorporated, fold in the grated lime zest. Spoon the mixture into eight paper case. Heat the oven to 180C, bake for 20 -25 minutes until golden and when pressed on the top they feel firm. Remove from the oven and leave to cool on a wire rack. Once cooled, core the cupcakes and fill with a teaspoon of the Chilli Lime and Ginger Jam. Cut the core in half and replace in the hole to cover the jam. Beat the butter for a few minutes until light and fluffy, sift in the icing sugar, add the lime juice and zest and beat for a further few minutes until the sugar and butter is combined. Spread the icing over the top of the cupcakes. 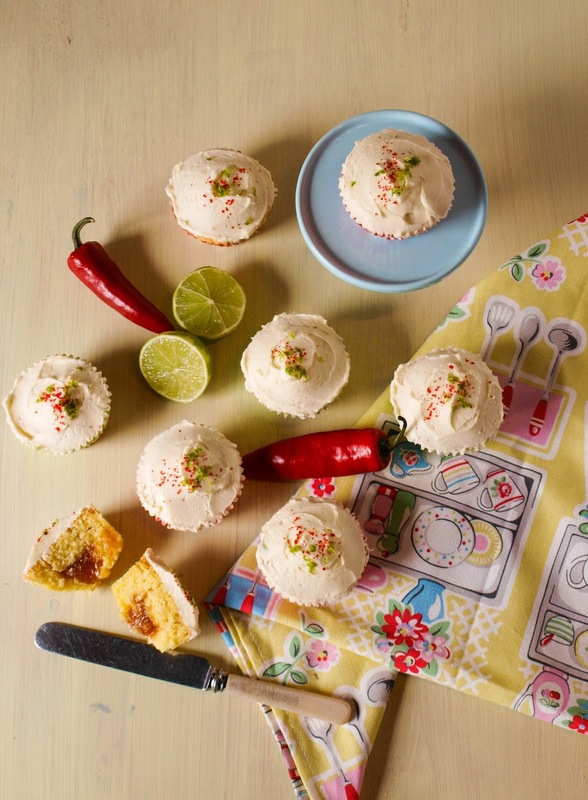 Decorate with grated zest of lime and red sprinkles or finely chopped chilli. These cupcakes are such a treat, the lime cuts through the sweetness of the jam and icing making the cupcakes taste really fresh and delicious. I'm entering them for Treat Petite the baking challenge for individual sweet treats run by Mr Cakeyboi and The Baking Explorer - the theme is 'Anything Goes'. I was provided with the cupcake corer and icing spatula by OXO Good Grips and the Flavoured Icing Sugar by Sugar and Crumbs. I was not paid for this review and all opinions are my own. These look so pretty Janice and I bet they taste really zingy! Wow, amazing combination - the ideal cupcakes to serve when you don't want small children to lick the icing off! What a great flavour pairing Janice- I'm sure these were a huge hit! SUCH a great combo Janice and a lovely innovative recipe for National Cup Cake Week! Thanks for taking the time to enter Janice - a petite treat indeed!